New York International Auto Show: Find your Dream Car! ​Since the 1900s North America's first and largest-attended auto show, the New York International Auto Show (NYIAS) has wowed attendees with an incredible collection of the newest vehicles and latest futuristic concept cars! This year is no exception, with over four floors of displays from the world's automakers, there are nearly 1,000 cars and trucks on display. We got a chance to experience the show firsthand at the NYIAS Media Preview and were impressed with the wide selection of automobiles. Showcasing the latest and greatest from every major auto manufacturer this year's auto show is incredible and expected to host over one million attendees now through April 23rd! If you have never attended the New York International Auto Show you are probably wondering why so many people travel from all over the world to attend it. The auto show is the perfect way to find out about the latest models and features from your favorite auto brands. The best part of the show is that you can shop and explore different auto brands without having to hear a sales pitch. You can find your dream car at the auto show without any pressure to buy. You can ask all your questions directly to the automakers. It is the most relaxed way to find the perfect car! futuristic vented spoke wheels to the rich quilted leather interior, this luxury SUV is impressive! Our favorite feature was the 23-inch heads up display above the beautiful suede leather dashboard. This is the perfect vehicle for just about anyone! Whether you have a family or are single this SUV has the right balance of features to satisfy everyone. 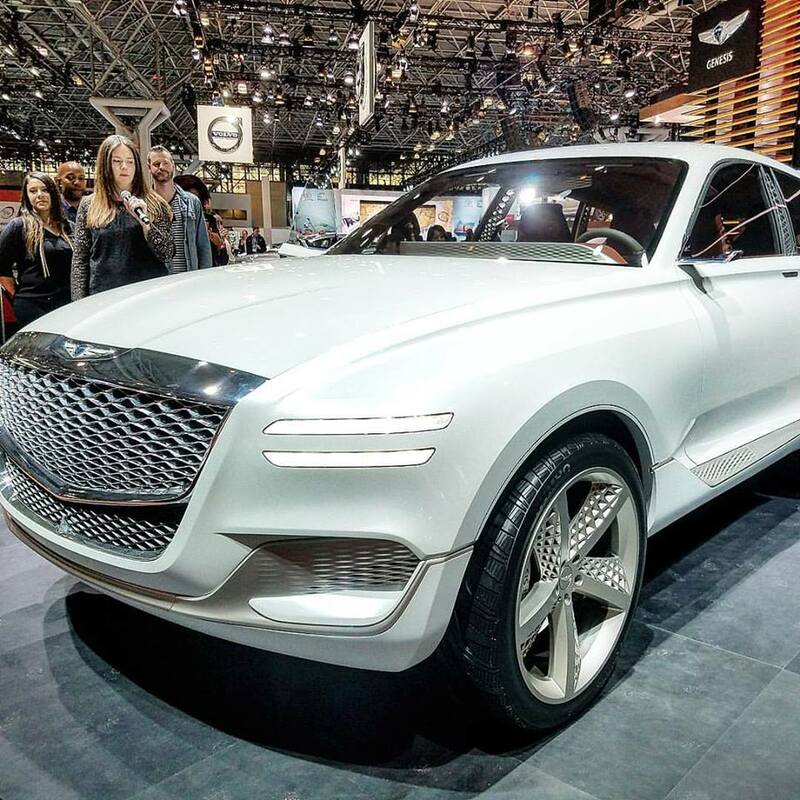 The Genesis GV80 is scheduled to be available in 2018 and demand is expected to be quite high due to it's affordability while still offering features comparable to higher priced SUVs. If you are not an SUV person, Genesis has a number of other luxury car models that also have plenty of features at an affordable price.